Welcome to the Freeola Internet customer support pages. 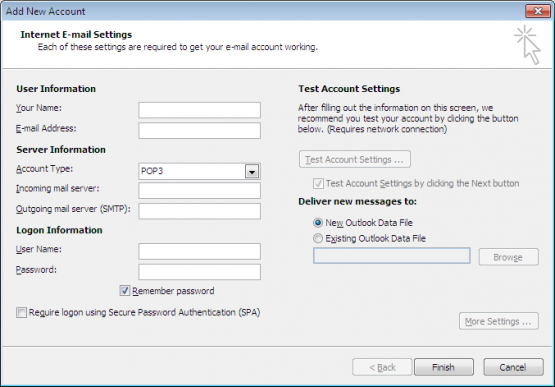 This guide is designed to help with setting up a Freeola email address﻿ on Microsoft Outlook 2010. For more internet help topics please visit our main Support Page. Load Microsoft Office Outlook 2010 from the Windows Start Menu. Select File, Info then click Add Account. 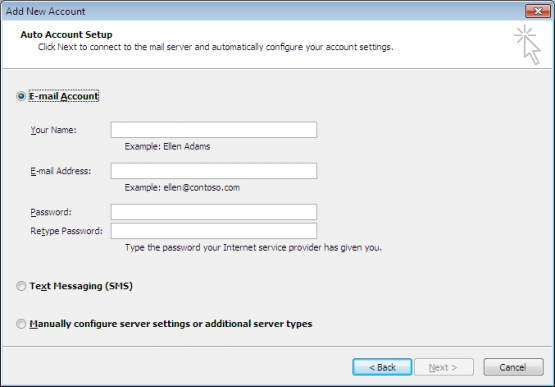 You will then need to select the Manually configure server settings or additional server types option and press Next to continue. In the next window you will be asked to enter Freeola's e-mail settings. Your Name: enter the name that you would like to appear on outgoing mail. Your email address will need to be entered, in full, into the Email Address field. 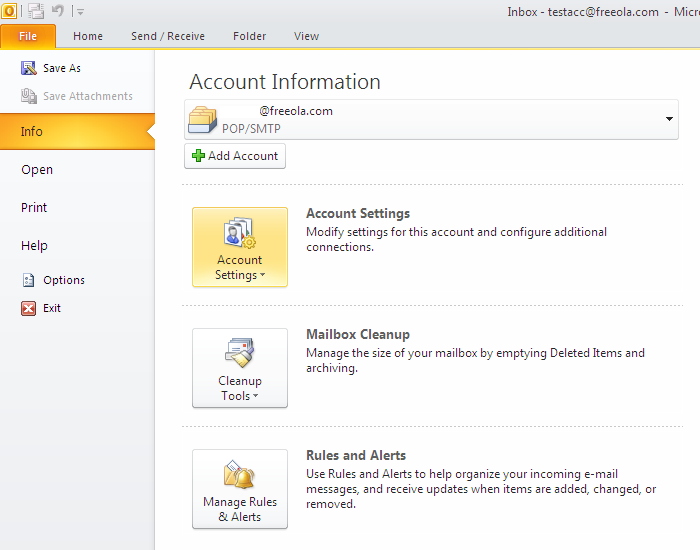 Account Type will be IMAP or POP3 depending on the setting in your MyFreeola account. Incoming Mail Server should be in the format of yourdomainname.freeolamail.net where 'yourdomainname' is your domain name with any dots ( . ) replaced with hyphens ( - )﻿.﻿﻿ For example, if your domain name was freeola.co.uk, the incoming mail server would be freeola-co-uk.freeolamail.net. Click More Settings then select Outgoing Server. Now tick the option for My outgoing server (SMTP) requires authentication. Next click Advanced. 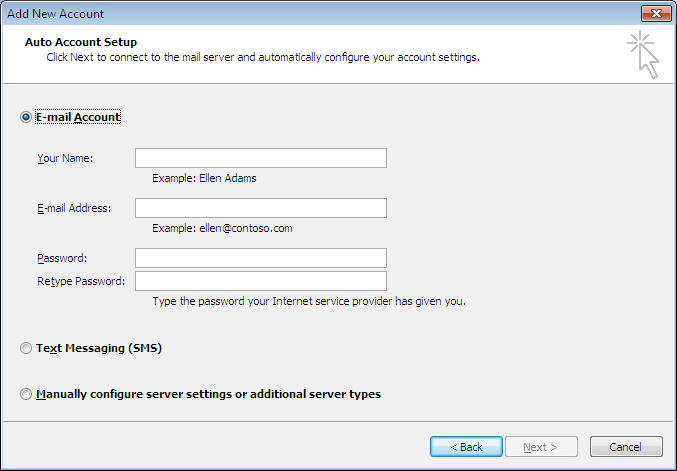 For Incoming server enter 993 for IMAP or 995 for POP and select SSL. If you then press Next, then Finish to close the wizard, your settings should be saved and your e-mail client should now be configured and ready for use.